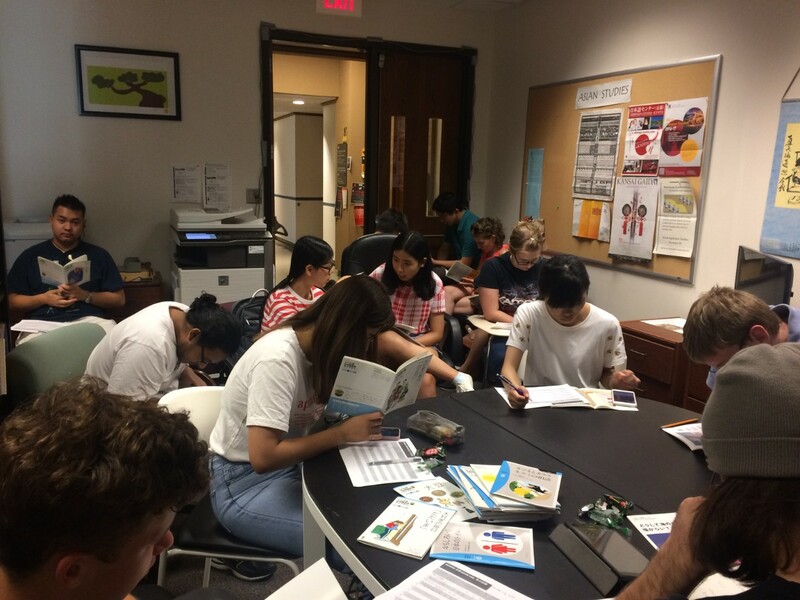 Every other Thursday since October 2017, a group of 10 to 20 students gather in the foreign language office of Old Chemistry on the University of Cincinnati's Uptown Campus, to read and discuss Japanese literature, munch on Japanese snacks and quietly chat with friends. The club is called “Tadoku,” which translates to “read a lot” in Japanese. In classrooms, students do not always have the opportunity to read for fun, says Junko Markovic, adjunct instructor in UC's McMicken College of Arts and Sciences. She created the space to provide students with the opportunity to read for fun while simultaneously becoming a part of a small community. “More and more, studies have proved the various benefits of extensive reading in foreign language education, including improvement of overall language ability along with vocabulary expansion," said Markovic. Inspired by associate professors Gergana Ivanova and Mikiko Hirayama, Markovic had long aspired to launch a club like Tadoku. Then, in 2017, the department helped her acquire an initial set of reading materials and bookcases. About nine months later, Markovic received a grant from Japan Foundation Los Angeles allowing her to purchase about sixty more reading materials for the group. Since then, she occasionally receives donations from local Japanese individuals and organizations in Cincinnati. While students in Markovic’s class received one point extra credit for joining the club, many decided to stay even after completing her course. Each student is assigned a reading level based on their knowledge of Japanese. Members are given a sheet each week to track their reading level progress, the titles they have read, and the words they have learned along the way. Throughout the meeting, students can turn to each other or Markovic if they need help with vocabulary or want to discuss what they are reading. Markovic says she loves to see students enjoying their readings each time the club meets. “Their eyes literally shine when they understand the story, and that is the moment when I truly feel rewarded as a teacher," she said. Jason Stoffer, a 28-year-old accounting major, stayed in the club even after he completed his Japanese courses. He explains that each book is given a different reading level, and members tend to choose books based on the level at which they are currently reading. “It’s exciting because the stories get more in depth and the grammar and vocabulary are more suited for your level as you progress," he said. Markovic says the club has brought students together in ways she did not expect. 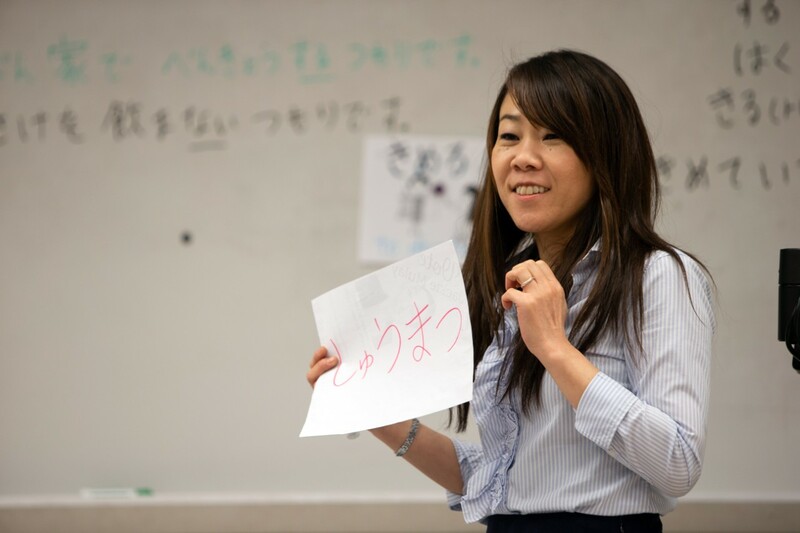 Since 2017, Tadoku has played a major role in connecting Japanese students at UC willing to help and meet non-Japanese students studying the language. In addition, there is a handful of UC alumni who are regulars and are also willing to chat with and help these introductory-level students in the club.